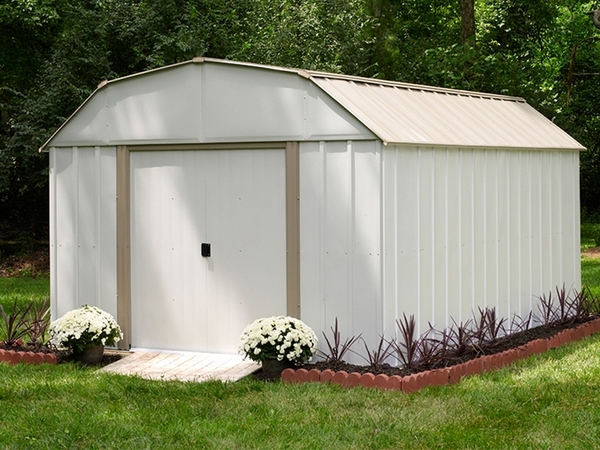 The high-gambrel roof style Lexington storage building gives you plenty of storage. Give your garage back to your car and organize lawn and garden equipment, patio furniture and much more in the durable Lexington. 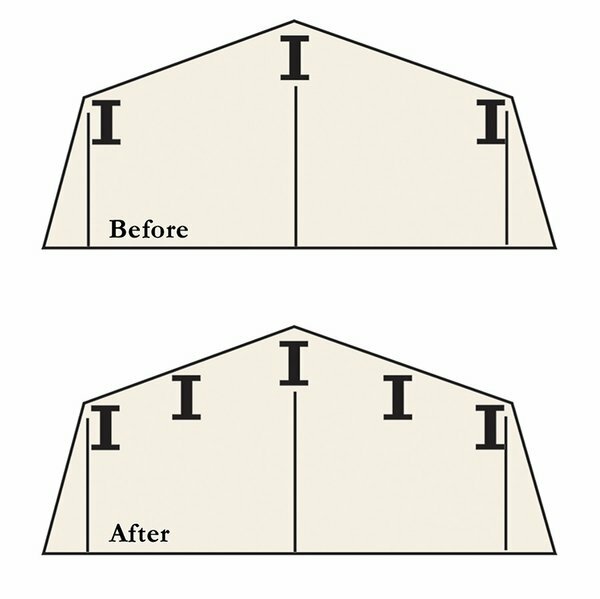 The gambrel roof provides an abundance of headroom and extra storage space. 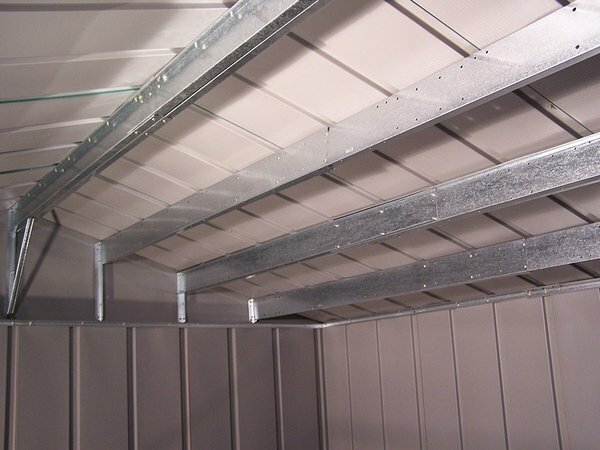 This Arrow Lexington Shed features 129 sq./ft of storage, with UV resistant steel panels protecting against rot, insects, and extreme weather conditions. * Also Note: Anchoring and base materials are not included with your building. We recommend the combined use of an Arrow Floor Frame Kit and an Arrow Anchoring Kit as an effective method of securing your building to the ground. Does this unit come with the floor frame? Anchoring and base materials are not included with your building. We recommend the combined use of an Arrow Floor Frame Kit and an Arrow Anchoring Kit as an effective method of securing your building to the ground.